TGS prides itself on maintaining a close-knit community and we go to great lengths to welcome our new families and integrate them into the Gunston community. Prior to the opening of school, Gunston offers several opportunities for new families to get acquainted with TGS and community. Every school day begins at 8:10 a.m. ALL students are required to be at school by that time, but may not arrive prior to 7:55 a.m. Conversely, ALL students must depart from school immediately following the co-curricular program. Faculty and staff are not on campus before 7:55 a.m. nor are they present after 4:30 p.m. The safety of Gunston's students, parents, and faculty is a top priority. During times of inclement weather, Gunston follows this plan: When Queen Anne's County public school system is delayed, closes, or closes early, Gunston will also follow suit. When Gunston is delayed, school begins at 10:00 AM. When the county in which you reside is delayed, you begin school at 10 AM. Buses pick up 1 hour and 50 minutes later than usual. When Gunston dismisses early, buses will run and the school will post the closing time through ParentReach, on the website and with the media. Please note that buses will follow the delay or cancellation schedule of each county serviced by that bus, and buses will not travel to any county that is closed even when Queen Anne's County public schools are open. Gunston announces weather-related plans through ParentReach, WBAL, and on our website. If a student must miss school, his/her parents must phone the Main Office prior to 8:10 or email office@gunston.org. Families are expected to make every attempt to schedule appointments after the school day. If missing school is unavoidable, parents must inform the school either via e-mail or written notice and the student must notify all teachers, including coaches, whose classes he/she will miss. When the school is not notified of a student’s absence, the absence is recorded as unexcused. At Gunston, we encourage open dialogue throughout our community in order to foster healthy environment in which to learn and work. Our expectation is for parents, faculty, and staff to take an active role in receiving and disseminating information in a timely manner in order to be actively engaged in the education and lives of our students. 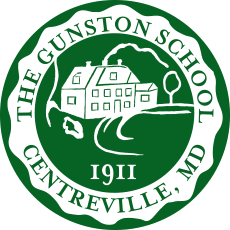 Online Calendar is the most up-to-date resource for Gunston happenings. Gunston Website - Password protected access to the Parent Portal on the Gunston website and student database will be sent to new parents in July. Digital Alerts – Once your account is set up for the Gunston website, you will be able to sign up for alerts pushed out to you about news, events, and changes in schedule via email and/or SMS text alert. School Directory – available online on the student database Parent Portal and in print.